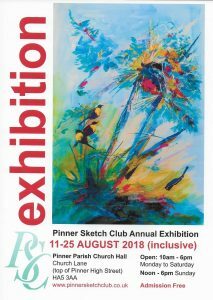 Insight artist Neeta Kataria is exhibiting with the Pinner Sketch Club at their Annual Exhibition. Please try to get along to see the exhibition which is being held at Pinner Parish Church Hall from the 11th – 25th August. Entry is free!